The Modern Weaponry of the World's Armed Forces is a treatise of military weaponry. It depicts about forty present-day weapon systems possessed by various nations, describing three to four weapons of each category with images, specifications, origin, development and design briefly. The weapon systems presented are almost all from the twenty-first century or the weapons presently under development. Only a very few officers in the three services know the finer distinctions between, say, cruise missile and ballistic missile, fourth generation jet fighter and fifth generation jet fighter and howitzer and a field gun. All such nuances are explained clearly. 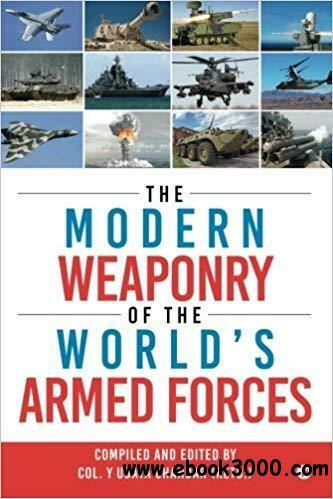 The beginning explains the 'history of military weapons' briefly and ends with information on the missile shield erected by most countries including India. The missile shield destroys the hostile incoming aircraft or missile automatically. The missile shield presented is real, exists on the ground today and not fictitious. The militaries win the war with the help of the man who stands erect in the face of the enemy fire and the weapon that is in his hands. All the students of military science must read this invaluable book about the gun in the hands of a soldier, what exactly it is and how much it matters. Крах 1941 - репрессии не при чем!